Painting according to customer spec. 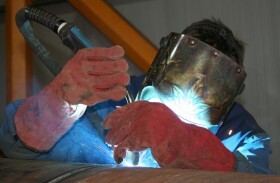 For more than forty years, STAD has been serving the construction and foundation markets in Europe. 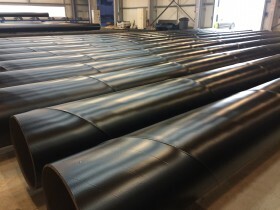 With a tube inventory covering all the size range up to outside diameter 2500 mm and wall thicknesses up to 50 mm, we are able to satisfy most of your tube requirements in a wide range of steel grades. 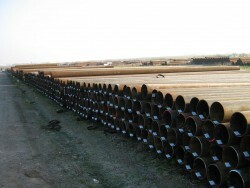 Our background is to offer secondary and surplus tubes from the oil and gas sectors which are widely used in the construction and piling industries, but the requirements of our customers are gradually changing and to accompany them, we stock more and more first choice tubes manufactured according to EN 10219 (S235JRH, S275J0H, S355J2H, etc.) for construction or EN 10217 (P235GH, P355N, etc.) and API 5L (GR.B, X52, etc.) 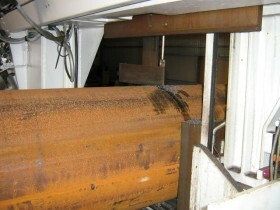 for line pipes with full traceability and certification according to EN 10204 3.1 with C.E. marking. Our involvement with steel beams is more recent but our inventory which covers the whole range of European sections ( HEA/HEB/HEM up to 1000 and IPE up to 750 ) as well as a wide range of British and American sections follows the same strict requirements of quality and traceability. We have on offer secondary beams if your application can accept them or full prime products certified according to EN 10025 with C.E. marking. For all our services, your inspectors or third party auditors from independent survey firms are welcome in our premises to perform inspections on your behalf.